Joining the app development bandwagon can be super exciting. Especially for first-time tech entrepreneurs, having a new and fresh idea about something is great. You come in on a problem with a different perspective and an open mind. But of course, there are risks. We published a post on what app developers aren’t telling you so you have an idea of the risks involved. It’s also possible that you can come to a project with high expectations and strong opinions that may not have been tested outside of your network or circle. If you have thought exclusively about an idea for three months straight, it can be difficult to accept that your concepts may need to evolve to fit the users’ needs. And that is just the first challenge. Mobile app development companies in Perth alone face plenty of challenges. From making sure that your app is not just user-friendly but valuable to funding your project, it can be easy to become overwhelmed and lose focus of where your resources should be allocated. We, at Cirrena, have compiled a list of the main challenges that startups may face and solutions that would work in your favour. 1. Research About App Development And Research Well! Before everything else, research. See what’s currently trending, what has been done, which apps failed to deliver, and which ones succeeded. Analysing your competitors can give you proper insights on their strengths and weaknesses, and also gives an in-depth perspective on what would work for your target audience. It’s also the best way to avoid any mistakes your competitors have done. Don’t forget to look into user reviews as well. Consumers are best critics as they give you their honest opinions. Keep notes on what users hated and loved especially the features. App development involves money. Maximise your budget by allocating them at the right stages of development. This makes research and planning very crucial. You want to divide your resources accordingly and keep your budget intact. When it comes to optimising your app’s presence on the app store, you have to get creative. It’s not just about thinking of a catchy name for your app, but you also have to have the right keywords in it or else the chances of people finding your app on search is still murky. Fan out all the essential keywords that boost your app to the top. Avoid using both singular and plural version of keywords. Do remember though that repeating the same keyword in the title and description will not help you with the ranking. Keep the title and description short and sweet. Always proofread before launch. Use tools like Google Keyword Planner, Ahrefs, and Apptopia to help you to get your competitor’s keywords. What makes your app different? It is no secret that there are millions of other mobile apps out there. There’s already an overcrowded market and developers are coming up with new apps almost on a daily basis. Narrow the essential features which ones are preferred by the users and how you can play around with it (stepping out of the box). People are always looking for something fresh, but they can also get bored and frustrated quite easily. Make sure you always deliver something unique. You can read our guide on how to build your app from scratch as a starting point. Have you decided on the platform you’re planning to use—iOS, Android, or Windows? Make sure you plan it early. 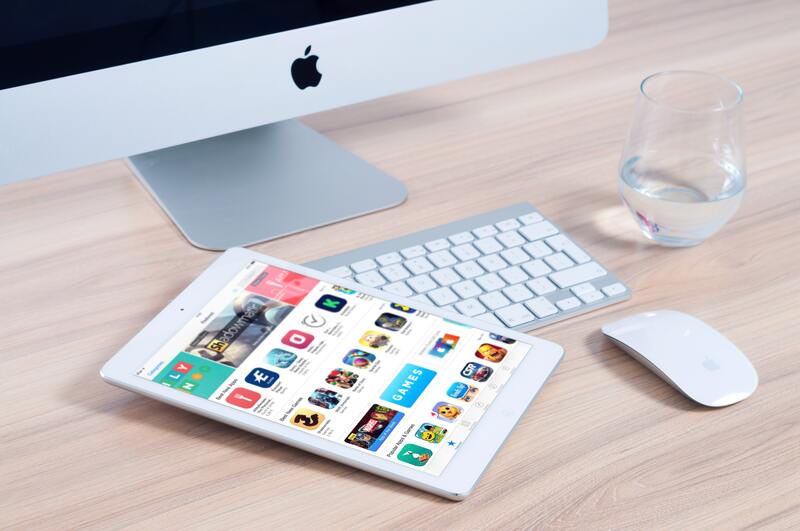 With new devices being invented on the regular, you need to ensure that your app works on a smartphone, tablet or a phablet. Check out this case study on how we developed an app that runs on different platforms. Get on top of various limitations like OS requirements, screen resolutions and other factors. Android and Apple devices have very different OS requirements that keep you on your toes with bug fixing issues. If you want to launch on many platforms, make sure you inform your developers early on. Focus on responsive designing. This makes it easier to adjust to the various mobile app platforms. Once your app development is almost set, give it a test run first before launching to the market. This allows you to smoothen out any problem areas that go unnoticed. Check the overall design including the logo, colours, and trademark. See if the features are user-friendly, easy to understand, and performs smoothly. You can check out this case study as a sneak peek on how we developed a cool app for one of our clients. As we’ve said earlier, the market is overcrowded already. Competition is very high and there are other developers with bigger budgets and market experience. You may have developed a good app but without the right marketing strategy, your product can easily get lost in the app market. For startups, it’s highly recommended to consult web apps marketing professionals who have worked with successful app marketing before. You need to divide your efforts to something like 10% on development and 90% on marketing. If you’re not sure where to start, we’ve written an article worth reading on different ways to connect with your audience.